I have a mower with a Yanmar 3tn** in it and its very finicky about air in the lines. The lift pump is completely buried in steel and hoses. I used a hand transfer pump to bleed it from in front of the separator. It worked well, and the engine is starting smoothly at this time. I want to put a primer bulb or inline pump on this machine and am thinking about putting it after hte seperator just before the injection pump. it is a pretty short run, and can just handle a small pump or a primer bulb on right angles. is this a good place for the pump or bulb? I assume by 'lift pump', you mean a mechanical fuel pump actuated by a cam somehow connected to the crankshaft? Putting an electric pump or primer bulb after the mechanical pump or after the fuel filter (the arrow in your picture) won't help you much because pumps aren't real good at pulling, they're good at pushing. Even if they are self priming they won't purge air particularly quickly. Other than repriming the fuel system if you run out of fuel or change the fuel filter, you shouldn't have to deal with air in the lines; if you're having to do this other times, you've got a leak somewhere. I'd suspect the lift pump as the prime culprit, particularly if you smell diesel in your engine oil or if the oil level in the engine is going up over time. If you're intent on adding a pump/primer, I'd consider an electric pump near the low-point in the fuel lines and/or near the bottom of the tank and take the lift pump out of the picture. altogether. While you're at it, you might relocate the fuel filter assembly somewhere easier to service. Note that many electric pumps for this purpose have a return line; if your tank doesn't have a return port, you've got more work to do. I believe you are correct. The lever on the pump does not offer any resistance, so I assume that means the diaphragm might have failed. It's almost impossible to get this pump without major disassembly of the machine. After thinking about this more and reading your post, I believe bypassing the mechanical pump altogether is a good option. I have seen and done this on light towers with Perkins and Lister-Pettit engines. If I put a small pump on a rail that is gravity fed by the tank, should I put a small filter in front of the little pump? Also, what circuit would I wire into? I have seen pumps that run continuously in these applications, but was wondering if wiring into the momentary glowplug circuit would be good. Assuming you have the time to fiddle, I'd try just cutting the lift pump out of the fuel flow and see if gravity is sufficient (assuming the tank is above the injector pump). 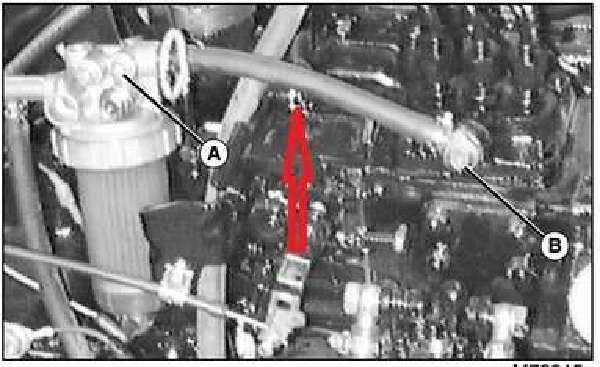 The makers of your mower may have used the Yanmar lift pump just because it came with the engine package, not that it was necessary. I don't think you need more than one filter; any pump used for this will be able to handle the odd contaminant. My tractor is rigged with the filter before the pump, both are below the bottom of the fuel tank. As long as the pump doesn't generate much pressure, putting the filter after the pump should be OK. The main thing to make sure is you have either pump pressure or gravity to bleed any air in the filter assembly and gravity to get to the pump. Oh, and hook the pump to the 'engine on' circuit, not to Start or Glow Plug. 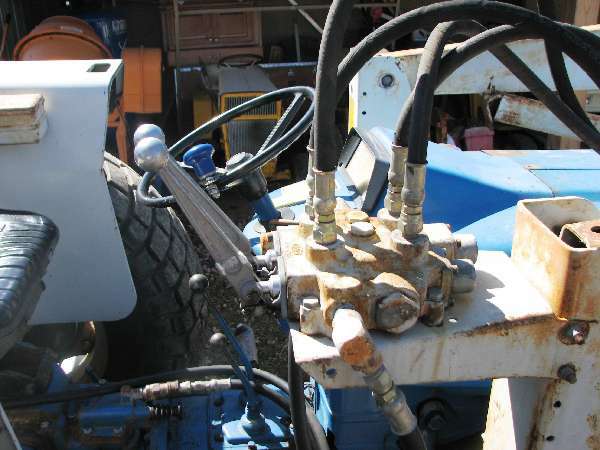 You'll want it running continuously if it's needed. Yesterday (found a new air leak and fixed), I tried going directly from the tank to the filter with a bulb below the tank. The engine fired but would not run for more than a few seconds. When I reconnected old line, engine fired and ran perfectly. Can i conclude that the lift pump is operational from this data? I left the bulb in the spot below hte tank for now. I am concerned about pumping fuel into the crankcase though, and wonder how real of a possibility this is. I am not always on site, and the guys who use this mower are not able to bleed lines or troubleshoot. I need a bullet proof solution. Deere has the original mechanical pump listed as available, so wonder if I should bite the bullet and just replace that, or do the electrical bypass, or primer bulb. Update: Mower starts perfectly on first crank every time now. I think when I discovered that seemingly insignificant leak while pumping with the bulb, I found the source of the problem. The leak was a very small hose crack at fitting coming of filter to injection pump.